Any time now, Los Angeles Mayor Eric Garcetti is going to announce whom he has hired to be the city’s chief resilience officer, the person in charge of increasing the city’s ability to recover from man-made and natural disasters. This is part of a larger global initiative by the Rockefeller Foundation to promote the importance of having a civic officer dedicated to coordinating disaster relief—and, more broadly, to aid in the formulation of civic responses to chronic destabilizers like unemployment and inadequate transportation infrastructures. This is a good move, but we have one important piece of advice: Inviting and facilitating the contributions of non-governmental organizations, and more specifically faith communities, that are willing to assist during a disaster should be at the top of this person’s agenda. We have studied the evolving landscape of religion and religious institutions in the civic sphere of Southern California for more than two decades and we have seen the untapped—or thwarted—potential of these groups in helping communities respond to emergencies and more slowly unfolding disasters. Why haven’t governments better recognized the potential of these faith-based groups? As we saw in the aftermath of Hurricane Katrina, which happened 10 years ago this summer, communities of faith can be the core of an effective response. We can’t just leave disasters to government agencies, which showed us how spectacularly they could fail. The rhetoric around the contribution of faith-based groups to public life is glowing. Faith-based nonprofits have had explicit opportunities to receive government grants for the provision of social services since President Bill Clinton’s time when he added “Charitable Choice” provisions in his welfare reform legislation. At the time, the federal government was responsible for most social services, but responsibility has steadily devolved from federal and state governmental agencies to local authorities, faith-based groups, and other NGOs. The movement gathered some steam during George W. Bush’s presidency as more people denounced what they considered an over-reliance on government social service programs in favor of a bigger role for private service organizations—in particular, faith-based “little armies of compassion.” The emphasis on moving social services to the non-profit, and particularly the faith-based sector has only increased as government budgets for social services have dwindled. But on the ground, we’ve seen that even when public officials are willing to work with these groups, the law often gets in the way of the aspirations and plans of these congregations and organizations to contribute more to the welfare of their communities. 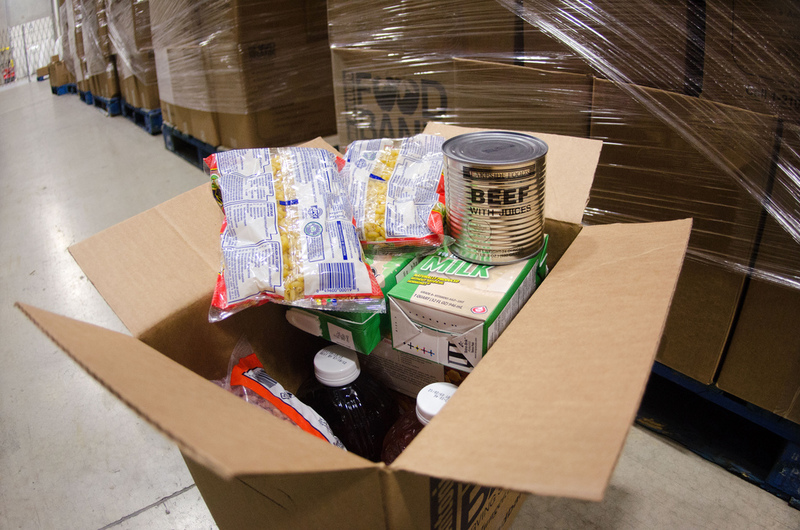 For example, when we interviewed Patrick Dougherty, the relief ministry leader at Calvary Chapel, Burbank he spoke of his church’s desire to expand its feeding program with the explicit goal of becoming a larger contributor to the community in the aftermath of a disaster. Their efforts focused on renovating and expanding their kitchen to enable them to increase their capacity from 4,000 to 20,000 meals per day in the aftermath of a disaster. Contractors initially estimated the project would require an expenditure of $100,000, but after talking with public officials, leaders of the congregation realized that permits, licenses, and code upgrades would cause the cost to skyrocket to approximately $2 million. The price was too high and the expansion was abandoned. In another case, a mobile food trailer purchased by Khalsa Peace Corps, which until recently was located just off Robertson Blvd. in Los Angeles, ran into several costly snags. Three months after its purchase, but before the trailer was delivered, new regulations required a new floor and stove burners. KPC had planned to park the trailer at their own newly renovated kitchen facility, where the mobile kitchen would be cleaned, serviced, and stored each night. This arrangement is allowed for food trucks affiliated with restaurants. But the L.A. County Public Health Department said that exemption wasn’t going to apply to KPC and the organization had to use a specially designated commissary lot, where they would have access to cleaning and parking services. Ravinder Singh Khlasa, the founder of KPC, estimated that this requirement would cost $3,500 per month for the cost of gas, driver, and the rent of the commissary space itself. The money need to comply with the requirements from Public Health represented 1,500 fewer meals that KPC would be able to provide each month. Rather than reduce the number of meals, Ravinder decided to move his operation to another city and county. These may sound like extreme cases, but stories like these were related to us in several interviews. The message that many faith communities hear is that it is better to fly under the radar or not talk to some government agencies because they seem to be more interested in shutting down operations and assessing fines rather than assisting these organizations in their critical efforts to serve the public, whether during a disaster or in their daily operations. While this may not square with the perspective of public agencies, which doubtless have their own reasons for putting these restrictions in place, the perception of faith communities is that government can be a significant obstacle to doing good in the public arena. The City of Los Angeles has been convening faith groups in its emergency operations center for two years, but that’s not enough. In the near term, the new chief resilience officer must streamline the cumbersome regime of licenses, codes, and other restrictions that create a chilling effect on the enthusiasm, creativity, and resources of faith groups. This is not an impossible task. The City of Chicago, under the leadership of Mayor Rahm Emanuel and with funding from Bloomberg Philanthropies, worked to reduce city licensing requirements by 60 percent for businesses, not simply for non-profits or faith-based groups. We believe that if this is possible in a city like Chicago, which is notoriously run by special interests and aldermanic fiefdoms, it is certainly achievable in Los Angeles. Brie Loskota is managing director of the Center for Religion and Civic Culture at the University of Southern California. Richard Flory is the center’s director of research. *Photo courtesy of U.S. Department of Agriculture.